– – Remember to always lose weight the healthy way! Some brides will go to extremes in preparation for their wedding day. However, if you plan ahead, you will not need to resort to unhealthy methods, and you will not stress about failing to reach your goal weight! The earlier you start, the better!!! – – Don’t be discouraged if you don’t see results right away. If you stick with it, you will eventually start to see results!! 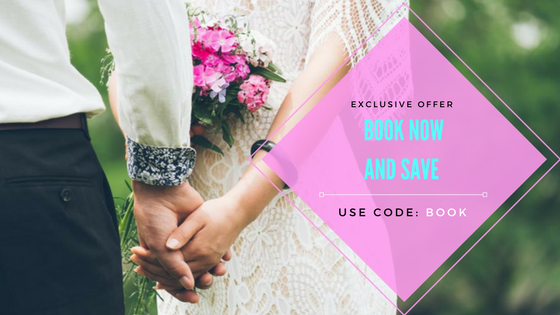 – – If you waited until the last minute and need a quick fix, then eliminate alcohol, carbs and sweets two weeks prior to your wedding day! If you absolutely cannot eliminate alcohol, stick to liquor and wine over beer! – – Try a Blueprint Cleanse, which is a 3-5 day nutritional cleanse in which you drink six bottles of juice a day that is designed to give your digestive system a rest and eliminate toxins from your body. It will also make your skin glow!! Good luck reaching your goal ladies and remember to stay positive! !